This post contains affiliate links. This means that if you make a purchase, we will receive a small commission, however, we only recommend the best products to our readers. Please see our About Us page for full disclosure information. What is Self Sufficient Living? Self sufficient living is defined as being “able to supply one’s own or its own needs without external assistance”. (dictionary.com) When we talk about self sufficient living, there are a few ways we can interpret this. Just living, working, paying your bills, without the help of anyone, financially, is considered self suffiency, right? But what about in the world of homesteading/farming? Self sufficient living takes on a new meaning, because farmers don’t tend to want to rely on other’s for their needs. When you think of a farmer, you probably think of them doing a specific type of farming. Some may have a dairy farm, other’s may raise cattle, and then other’s may grow fruits and veggies. They all are able to live off of whatever they grow/raise, however, if they are raising cattle, but aren’t growing fruits and/or veggies, they need to rely on other sources for that food. First, create a set of goals for your homestead. Do you want to be able to provide 100% of your needs yourself? Do you want to raise certain animals for food, but get your fruits and veggies elsewhere? This is the time to set those intentions. You don’t want to start this type of endeavor without having clearly defined goals. In addition to setting your goals for your self sufficient life, you also need to decide how you’re going to earn a living. We all still need to make money, right? It’s very important that you have a financial plan in place, again, before you set out on this journey. You don’t want to jump in with both feet because there will be mistakes, and there will be times when it feels like you want to quit. If you have your goals, and financial plan in place, you’ll have an easier time when the mistakes happen. All family members have a role to play when we decide to start farming. From the youngest, right on up to mom, dad, and grandparents, if they live with you and are able to help. Clearly defining who will do what on the farm is crucial for things to run smoothly. In our home, I take care of the day to day chores, and make sure everyone is fed. Our daughter’s also help with those day to day chores. My husband, who works full time outside of the home (for now), takes care of the heavier type of work when he’s home on the weekends. We all pitch in and help him, but some jobs are better left for him. This is what works for us. Things may be different for you. Regardless of who does what, everyone should be helping, including the kids. In general, chores for kids teaches them responsibility, and life skills. On the farm, they also learn empathy (for the animals), and how to take care of themselves by growing their own food. These are skills that they’ll never learn in school, but we never know when they will be necessary. In addition, because children are the next generation, teaching them how to grow chemical-free food is important to the health of our entire country. They could become part of something much bigger by learning about chemical-free gardening. Self Sufficient Living – Organic, or Not? Personally, our family stays away from chemicals at all costs. We choose to use only chemical-free alternatives for pest control, and to help our plants grow. There are a multitude of ways that you can keep pests away from your gardens, from companion planting, using homemade sprays with all-natural ingredients, and even hand picking certain pests off of your plants. Unfortunately, if we have to shop at grocery stores, we don’t always know where the food came from, or what chemicals have been sprayed on them. Our preference is to go to local farm stands for fresh fruits and veggies that we don’t grow ourselves. Pesticides have been linked to numerous health problems for many people. You can find more information here regarding pesticides and the diseases they are known to cause. Self Sufficient Living – How Big Should Your Farm Be? However, growing your own fruits and veggies while living in the city is totally doable! How, you may ask? Container gardening and vertical gardening. It can be done, and it is being done all over the country! Probably all over the world! Self sufficient living is possible in any environment. You just have to plan, plan, plan! You can also homestead on less than an acre of land, and actually earn a living. I know! I couldn’t believe it myself! But it’s true. Mini Farming has become quite a popular trend! Then, of course, you can go all out, which is the plan for our family this year, and purchase a large piece of land, preferably one that has already operated as a farm in the past! Do you have any idea how beneficial goats, chickens, rabbits, sheep, and pigs are on a farm? You can even make money as a worm farmer! The sky really is the limit! This post contains affiliate links, which means if you purchase something from my links, I will receive a small commission, at no additional cost to you. Whether your goal is to maintain a small farm so you can feed your family, or you wish to create a business that will grow and thrive, and can be passed down to your children, there are some very essential items that all homesteading families need in order to survive. Look, I know that some people dream of living off-grid, in the woods, and maintaining a totally self-sufficient life. But that’s not 100% realistic if you aren’t prepared. You must have a plan. You must have equipment and tools, and be able to create heat, hot water, and electricity. Otherwise, depending on where you live, you’re going to be a cold, stinky, homesteading mess, and you’re going to get frustrated rather quickly. Do not just go off into the woods without a plan of action, or without the following essential items! ultimate goal is to go solar, or wind power, or hydropower, all the more power to ya! (See what I did there?) But, you need to start somewhere. At the very least, make sure you have a good, quality generator for at least short periods of power to the house and to run your other homesteading power tools. And even if you’re not looking to live off-grid, and you will have electricity in your home, a generator just makes good sense. We all deal with power outages for one reason or another. Wouldn’t it be just a little bit nice to be able to keep your fridge cold? This generator is small, but powerful enough to keep your fridge cold, and a few lights on during power outages. to treat your farm as a business. One of the things many people do is purchase a chainsaw mill . Not only can you use this lightweight chainsaw mill to build your own things, but you can cut and mill trees from your property and sell them as lumber. Such a great money-maker for your farm! If you’re going to mill your own wood, you’re going to need a great chainsaw ! My husband has been working for a tree company for several years now, and he would tell anyone looking for a new chainsaw not to skimp on quality. Spending a little more money now will ensure you have plenty of years of tree-cutting action! Don’t forget to pick up some felling wedges while you’re at it. If you’re going to be cutting down trees, you’re going to need them. And what’s a chainsaw and a mill without an ax? I mean, well, you still have the chainsaw, and the mill, sure. But an ax comes in handy for smaller jobs, or to help finish a big job. This Fiskars ax has a lifetime warranty, so you can be sure that it’ll last you, well, for a lifetime! And, if not, they’ll replace it. My husband has been through several axes and they’ve always been replaced at no cost to us. In addition to large tools, you’re also going to want a quality drill, heavy duty measuring tape, extension cords, a staple gun, a socket wrench set, a screwdriver set, a wrench set, an allen wrench set, wire strippers, and pliers. Oh, and don’t forget the hammer! This lawn tractor is by far my favorite farming item! Husqvarna is by far one of the best quality companies out there! And this lawn mower won’t do you wrong! Ok. We’ve got some of the big stuff out of the way. Now, you need to feed yourselves, and possibly sell some of your corps to turn a profit. You need seeds! We use non GMO vegetable seeds in our garden. You’re going to want a good pair of pruning shears for your plants. Regardless of what you’re growing, pruning helps keep your plants healthy. While we can all appreciate the desire to get away from the craziness of the city, or large towns, and get back to nature, it is imperative that you plan for your journey to homesteading. Don’t just jump in without some necessary tools, and items to make it a bit easier on you. No, homesteading isn’t easy, but you can reduce the stress you’ll experience if you just take it step by step and be logical about it. This is a dream for many people, but how will you succeed if you’re not prepared? Next time, we’ll get into essential gardening tools. Make sure you checkout my post 15 Homestead Kitchen Items You Can’t Live Without! One of the biggest mistakes I feel that homesteaders make is to try to take on too much, too soon. They may find themselves in over their head and spiraling down a path of failure. I have chosen to start small, make mistakes, and fail at things without having survival on the line. Failing is part of learning as long as you find out what went wrong and fix it. We have four raised beds. Two of them are 3’x3’, and the other two are 3’x6’. So far, we have tried to grow tomatoes, squash, pumpkins, carrots, sweet potatoes, and some salad greens. This past season, our tomatoes did awesome. Before planting the tomatoes, I put some compost made from cleaning out the chicken coop in the beds. Tomatoes love a more acidic soil. I have also met another back-yard gardeners that planted tomato plants in an old chicken run and yielded seven to eight foot plants. I saw them with my own eyes. So, having chicken compost for tomatoes is a plus. For a few years now, I have not had very good luck with squash. The plants keep dying without producing very much. One piece of advice I was told was to trim the vine. The theory is that more energy will go into producing the squash off of off-shoots than into growing the vine. I will experiment with this and see what happens. Another issue that we may have had was squash beetles. To be honest not much else produced very well. One of the things that I have read and heard pretty consistently is about soil quality. I started out filling my beds with the soil that was in the area. The soil here is very sandy because we live on the coast, and I had no idea what kind of condition it was in. Lesson learned. Get a soil test done. It will tell you exactly what your soil is lacking, and how to fix it based on what you are growing. I will be adding compost to all four beds, mixing it up, and sending in samples to maximize the yield for next season. Another piece of advice I will put into my tool bag is to get good at growing one thing. Then, get good at growing something else, so on and so on. This way you can stay focused on one set of issues. We like to do things naturally. No pesticides, no chemicals. After doing some research, there are a few methods that we’ll try to control, and get rid of, the squash bugs next spring. The first method is to prevent them early on. Squash bug eggs are shiny, oval-shaped, and copper colored. The best way to prevent them is to inspect your plants each week at the base of the plant, as well as the underside of the leaves. If you see eggs, you can wipe them off with a cloth and dispose of that cloth. Catching the infestation before the eggs hatch is a great method for saving your squash plants! Another method that I think will be fantastic is to mix onion and garlic with water, let it steep so the scent becomes strong, then pour the mixture over the base of your squash plants. See! No chemicals, and it’ll get rid of the problem. You might have to do this more than once in the growing season, but how much better will your veggies taste, and how much healthier will they be when you use natural, organic methods for killing and deterring these bugs? You can also plant other plants, called companion planting, that will help to repel squash bugs. This, again, for us, is a fantastic, natural way to keep those little nasties away! Some suggestions for plants that repel squash bugs are: marigolds (which also repel a whole host of other pests! ), nasturtiums, white icicle radishes, oregano, calendula, and dill. These can be planted close to, and in between, each of your squash plants to help keep them healthy and pest-free! And special thanks to my husband for co-writing this post with me! Homesteading is becoming increasingly more popular these days and making money from your own back yard is easier than ever. People have become more interested in learning about how to make money living off their land. For those who have money to invest in a large piece of land, machinery to farm it, and some livestock, it can be fairly easy, financially. But what about people who own a small piece of land (say, less than an acre), or don’t even own their land at all because they rent? I’m here to tell you that you absolutely can make money from that small piece of land, whether you own it or not! First of all, I’ve never known a landlord who would be unhappy about you planting some flowers on their property, and many landlords don’t mind their tenants planting a small veggie garden. And, guess what? You can even do some of this from an apartment. It’s simply a matter of maximizing your available space. Grow flowers, collect the seeds and sell the seeds. Or you can do what I prefer, and that is to start the seeds yourself and sell the plant. You’ll make more money than if you sold the seeds and you’ve done some of the more difficult work of starting the plant. It’s super easy to find out how to collect whatever seeds, or bulbs, that will come from the flowers you’ve planted. 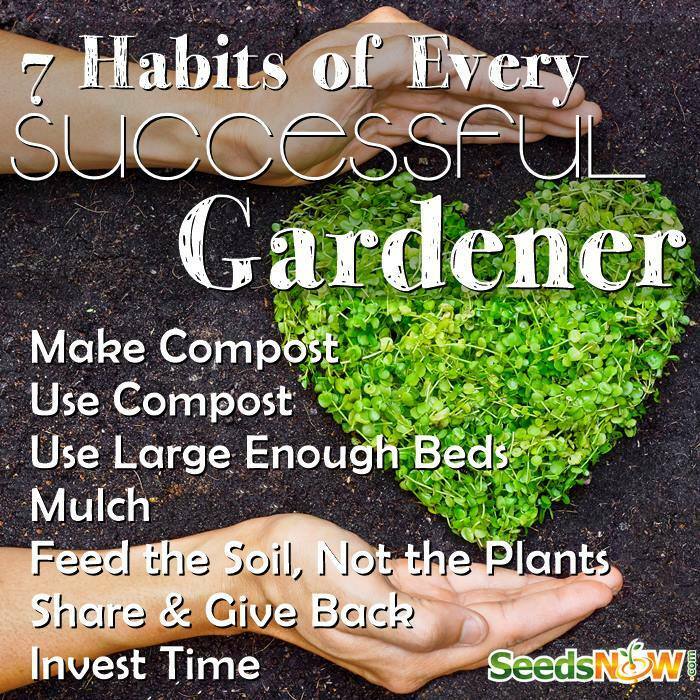 You will also save money by saving some of the seeds for yourself so you can plant more next year! I also always go for perennials. They don’t need to be planted every year and tend to require less care once established. Compost, people! We all have food waste that we just throw into the trash. Well, how about you create a compost bin? We made a simple compost bin from pallets that we found…for free. Throw all of your fruit and veggie scraps in there. You can also add used coffee grounds (the nitrogen is great for composting), egg shells, seaweed (if you live near the ocean), and much more! Just never add meat to your compost. The outcome would not be good. Once you have a well-established compost pile, you can sell it to other farmers, as well as use it for your own plants. Worms, worms, worms. My husband is a huge fan of worm tea. It’s a thing! Basically, you create worm bins, throw in your fruit and veggie scraps for them to eat, and their awesome poop will create something amazing for your gardens, and…you can sell the worm tea as natural fertilizer to other farmers! Win-win. People have become major fans of raising chickens these days. They’re easy to care for, don’t require a large yard, as long as you don’t have too many, and many breeds are very friendly. You don’t have to have a rooster, so if you live in a more populated area, you don’t have to worry about a rooster waking the neighbors and 5:00 in the morning. Now, if you live in an area where a rooster won’t bother anyone, go for it! Why? Because not only will you be able to sell the eggs that your hens lay, but you can sell the chicks that you hatch. If you feed your chickens only organic feed, you can sell them for $3.00-$5.00 per dozen! Start a vegetable garden. One of the things you need to be sure of when starting a veggie garden is the health of your soil. It’s best to start with one or two veggies and perfect growing them. We started with tomatoes, and let me tell you, we wound up with a ton of them this year! You don’t want to frustrate yourself if any of your veggies fail to produce, so start small. But, regardless of what you start with, you’ll be able to sell them, either by setting up a small farm stand in your front yard (be sure to check your towns permit requirements), or by becoming a seller at a local farmer’s market. Create and sell your own crafts. Granted, you don’t need any land for this, but it’s a very popular way to make money. You could knit, sew, crochet, create wood crafts (there are free pallets all over the place), and so much more! All you need is a little imagination and some supplies. The sky is the limit, really. Not only can you sell your crafts at a farmer’s market, but you can also sell online. Regardless of what you decide to do, making money from your land is absolutely possible, even if you don’t have much. You can sell any of the above at your local farmer’s market every week, or month, depending on when they take place. All you need is a little imagination, a little effort, and do some research to find out how and when you can sell your products. Don’t forget about setting up a Facebook page as well. First of all, it’s free, and second, you can start promoting whatever products and/or services you have chosen to provide.